100% deposit bonus up to $600 using the bonus code "STARS600"
PokerStars Mobile allows players to fire up between four and five online poker tables on Apple and Android devices. The software has very few limitations and is not a data hog. Many online poker players own a smartphone or tablet. 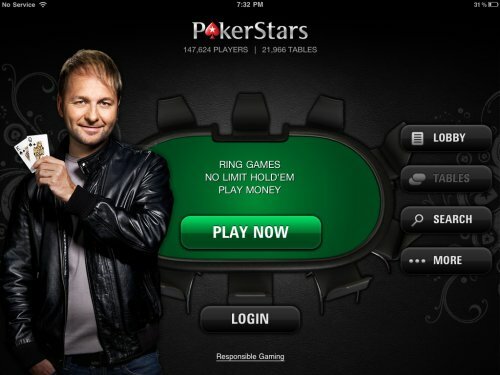 To meet demand, in 2012, PokerStars launched a mobile client that is available on just about every mobile device and in every country where real money games are offered. PokerStars didn’t become the leader in the industry by coming out with inferior products, and its mobile application is by far the best you'll find. For the most part, it is just like playing on your computer, but in the palm of your own hand. If you are someone who just focuses on a few tables at a time or who just plans to play on their mobile device while on the go, I do not see this restriction as a problem. You also do not have use of the cashier through your mobile device. For Android devices, PokerStars allows you to use a web cashier to deposit funds, but not withdraw them. On all other devices, there is no cashier currently available. I consider this to be a minor inconvenience, as I consider cashier functions to be an infrequent activity. For those of you who are worried about security, all of the data is encrypted similar to when you are playing at home. Moreover, the RSA token for logging into your account also works on the PokerStars Mobile client. 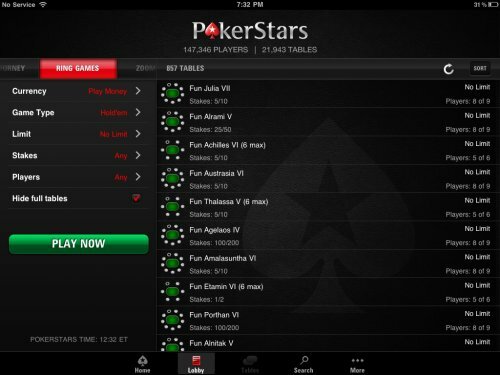 Some other minor differences between PokerStars on your computer and PokerStars on your Mobile device include not being able to access Home Games, not having access to change your account information, not being able to change your login security settings, not being able to request a tournament history or your statistics, not having a preferred seat option, not being able to change your VIP display option, not being able to change your bet slider amounts, not being able to share hands via Boom, and always declining rematch requests. I have heard of some online poker players using PokerStars Mobile as a backup for when their home internet goes down. This is fine for tournament and sit and go players involved in just a few tables, but does not work well for cash game players. For tournament players, you may have to sit out a few hands while the mobile device is connecting you to the action. However, for cash games, once you switch devices, you are removed from all cash game tables. Another thing to consider is your mobile internet connection. Although the PokerStars Mobile application will not be heavy on your data plan, if you are relying on mobile broadband services, you must be careful you don’t hit a dead zone when in the middle of a hand. Once you disconnect while playing through your mobile device, the software will give you 90 seconds to reconnect before folding your hand. Therefore, I strongly recommend using a WiFi connection when it is available to you. 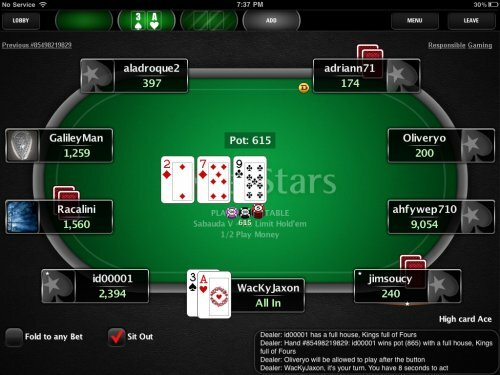 If you're on the go or want to play poker out of the palm of your hand, I would recommend trying out PokerStars Mobile.